Puttur, May 02, 2016: Gold jewellery worth over Rs 4 lakhs were stolen from a house at Darbe when the occupants were away at Kozhikode in Kerala to attend a function. The theft came to light on May 1, Sunday morning. 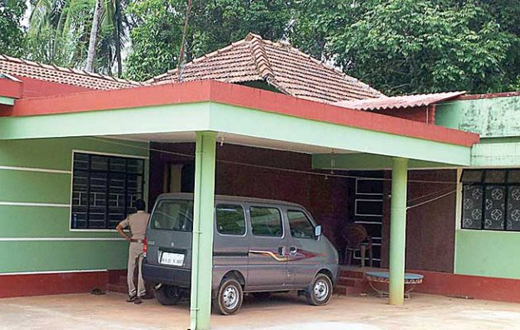 The thieves had gained entry into the house owned by K Prabhaker Shenoy by breaking open the front door. The broken front door was noticed by a milk supplying boy on Sunday and he immediately brought the matter to the notice of a neighbour who happens to be the brother of the house owner. On getting information about the theft, the family of Prabhaker Shenoy rushed back in the evening. Sources said diamond earrings and golden mangalasutra were among the stolen valuables. Police found all things in the house including silver articles scattered around. However, foreign currency which too was in the cupboard was not stolen by the thieves. Never trust anyone nor discuss the personnel matters with the strangers. Be at your safety.